$39 and $59. Additional processing fees apply to all ticket sales. 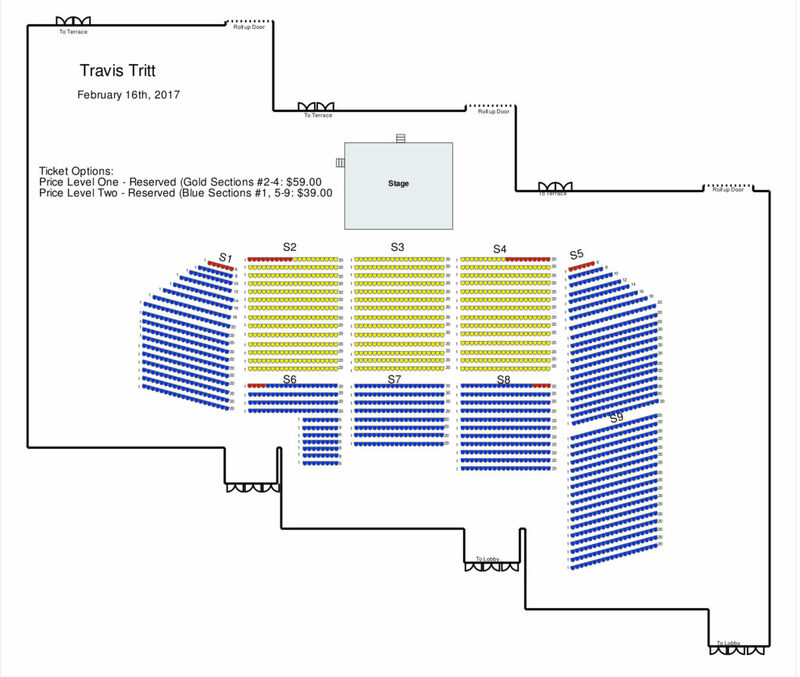 Experience this rare opportunity featuring CMA and Grammy award winning country artist, Travis Tritt in an intimate solo-acoustic setting where his powerful voice and his guitar are the subject of the spotlight. An up-close and personal event punctuated by personal stories and anecdotes about his life and musical influences. Tritt will be performing some of his biggest hits, including “T-R-O-U-B-L-E,” “It’s A Great Day to Be Alive” and “Best of Intentions.” The Grand Ole Opry member will bring his award-winning songs to life and leave the audience with a truly memorable experience. Tickets are $39 and $59. Additional processing fees apply to all ticket sales. Limited VIP parking will be available for $5 (Cash Only) in the Convention Center parking lot. Available for purchase on site day of event only.